Being from Boston (the city of sarcasm), I’ve always been a teaser at heart. Fortunately, it’s a critical aspect of flirting with women. When done well, it can create immense attraction and bring your conversation to the next level. It’s fun and shows her that you’re able to enjoy yourself so she can do the same. Rapport is when two people relate and connect with each other. As you talk about commonalities, share stories, and learn more about one another, you are building that rapport. These are typically safe conversations. Flirting is the essence of creating tension and “breaking” rapport. You’re saying something a little edgy. She could tell you to go screw yourself and it’s potentially unsafe (but all great endeavors are risky to begin with!). Make fun of her, not yourself. Self-deprecating, cynical, and negative humor might get a laugh but it won’t get you a date. Be expressive. Smile, use your hands to gesture, and vary your vocal tonality. At the end of playful phrases, inflect your voice upward. Get passionate and physical. Exaggerate and be absurd at times. Also…laugh with her, damn it! Ramp it up. Start with something less intense and get more personal as the interaction progresses. You couldsay something sexual very early on but if she’s not invested in you, it’s probably going to backfire. Have real conversation, too. Don’t tease her constantly, mix it up with more substantial or meaningful talk. Listen and avoid making fun of her when she’s telling you something serious. As you get to know her, tease less but never stop completely – the spirited attitude keeps her attracted. Flirt with everyone. Get in the habit of joking with women you meet daily. It’s innocent, harmless, and good practice. Plus, you’ll get a lot of numbers in the process. The following 10 examples aren’t only for girls at the bar. They can and should be used on dates, at parties, and occasionally over text. Note: These teases are meant for bars and clubs when you have a good dynamic going with the girl. I wouldn’t get too forward when first meeting a woman during the day. Keep it to a couple light and non-sexual teases unless you take her on an instant date right then and there. Give her a silly nickname. Point out something embarrassing or nerdy about her. If she gets jokingly mad, huff at her and make an upset face. Repeat her words back to her with your hands on your hips. If you’re at a bar or club, have a silly dance off. Treat her like a child. Stereotype her in a humorous way. Tell her you wouldn’t get along. Disagree with something she said. Playfully turn your back to her. After she says she dislikes something say that you do like it or vice versa. Call her out for being rude or shallow. Accuse her of hitting on you or being sexually aggressive. Remember, teasing comes down to enjoying yourself and creating a playful dynamic. Use the examples as a guideline but start trying out your own ideas based on your personality. You’ve got to take some chances — the guys who always play it safe usually go home alone. Great tips. Just what I needed.thanks. Dude I’m doing this through text messaging and I did some of this stuff already, but it’s working on her strongly!! I don’t have any trouble with women but I do struggle to explain to friends how to approach girls, and being a good wingman is tough sometimes, this helps a ton! What if she seems like she’s using those 10 examples on you? What does that mean? 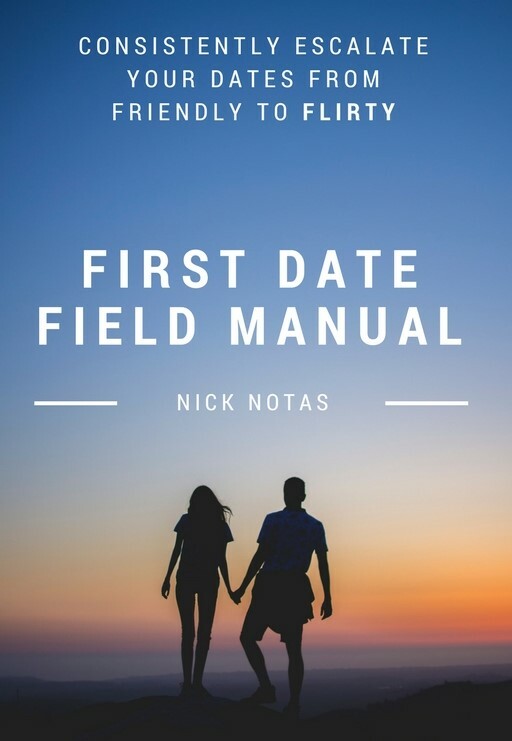 “Use the examples as a guideline but start trying out your own ideas based on your personality.” This is the most important part, I think, especially if the man is looking for an actual relationship. You should put it in all caps, haha. I don’t think all them work equally well on all women- for example, I love #6. The people I get along best with tend to do that naturally. I am a creative person and I like the imagination it takes. However, the guys that try #5 on me? Nopenopenope. It makes me feel awkward and uncomfortable. So think about the type of man you are and which one of these roles you want to play. And you’ll probably attract a complimentary woman. Yeah number five need to be careful but that can come into play later on..
Be sincere and smile, most of all have fun and don’t let her see you sweat. My boss calls me Chatty Cathy, when I am, actually, a quiet person. She said it is sarcasm. I am a tomboy, and I don’t think she is a lesbian hitting on me. Why she wouldn’t call me my first name is beyond me. There shouldn’t be tension that she is trying to break, as she is the boss. Any ideas why? She seems to be having fun teasing me, while I get embarrass because she calls me that name in front of everyone in the team. Could it be that she thinks I am attracted to her, and the only way she could be comfortable with me is to call me a different name? Alright, I’ll admit that I was highly skeptical and ready to crap all over this article. However, when I read it to my wife (with the intent of mocking it), I realized that I was, in fact, doing 9/10 things you suggested. Having dated my wife for 7yrs and married now for nearly 2yrs, I gather that this kind of flirting, as childish and as immature as it might seem at first glance, may be one of the things helping to keep the flame going in our relationship. To learning that I’m still flirting with my wife after all this time is actually kind of heartening. Caution: Everything in moderation. Too much of this and you might come across as an a-hole. When wifey isn’t in the mood for my antics, I back off. And do go over to Twitter and read the #YesAllWomen discussion, because you really don’t want to be That Guy just because it gets you lots of numbers. Wow, these are really great tips. But One Question. What does this mean, If I am talking to a girl i like and teasing her she always wants to walk with her friends and never really wants to walk alone with me? what if i accuse her for hitting on her or being sexually aggressive but she will then reply “you are such a feeler…why would i be hitting on you?” how do i respond to that? dude your officially the Love Doctor to me your awesome!!!! Very nice, but i always plan on what to say whenever i call her. can someone please give points to hit on? You are so human, I would very much appreaciate learning from you. Keep up the celestial work. Bro…you are really awesome…i wish you had started writing 10 years back ! Just to mention that this stuff is very culture-specific, and if you’re dating cross-culture be careful, a tease could be taken as an insult. 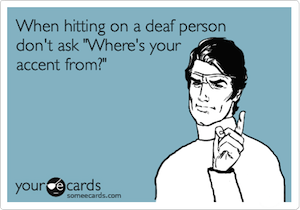 Especially if there’s a language barrier then directness often works best and avoids misunderstanding. awesome ..but i think every girl have her own personality .. and thats to much difficult to understand in begning .. i think there would be something for boys also .. hahaha .. we also have some emotions 🙂 is it boys ?